The Canadian Deaf Sports Association currently has 30 people who play the roles of head coaches, assistant coaches and team managers. 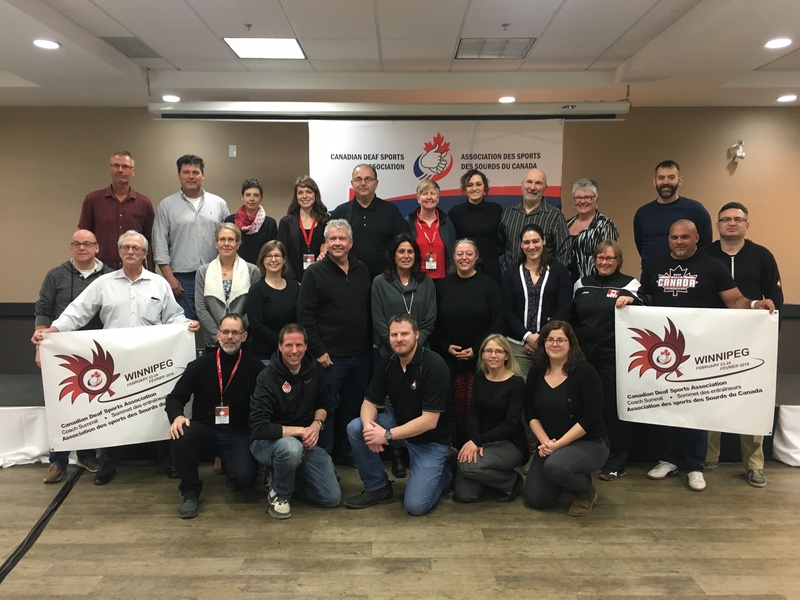 Head coaches and assistant coaches are encouraged to complete various levels of the National Coaching Certification Program (NCCP). NCCP level 2 is required to work as a coach with the CDSA and level 3 is desirable for sport events. 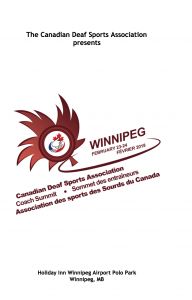 The Long-Term Athlete Development Model was developed by the CDSA. 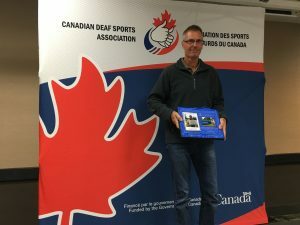 Carolynn Osborn, Team Manager for the Canadian Deaf Swimming Team developed this Coach Resource Guide. 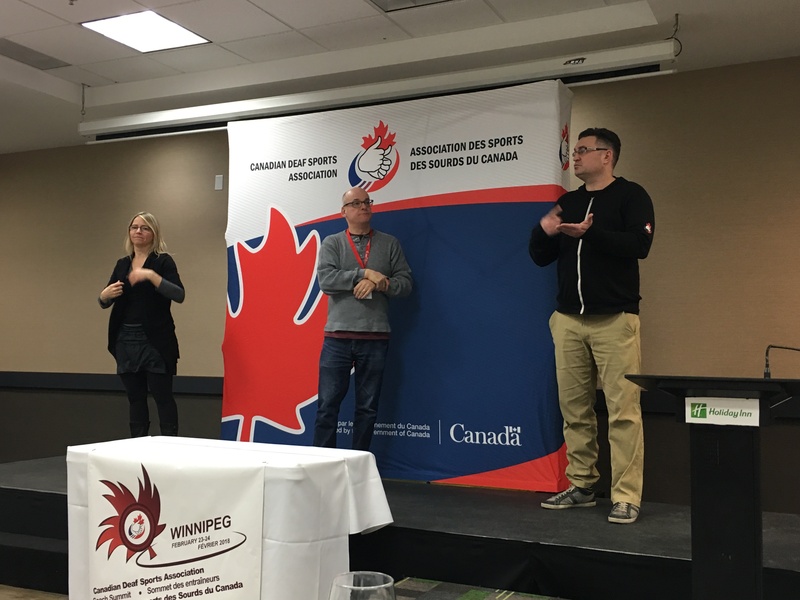 We hosted our first ever Coach Summit on February 23rd and 24th, 2018 in Winnipeg during the Canada Deaf Games. It was a great experience for our Team Managers, Coaches and Provincial Deaf Sports Associations representatives.